The Big One Chevron Texture 6-pk. 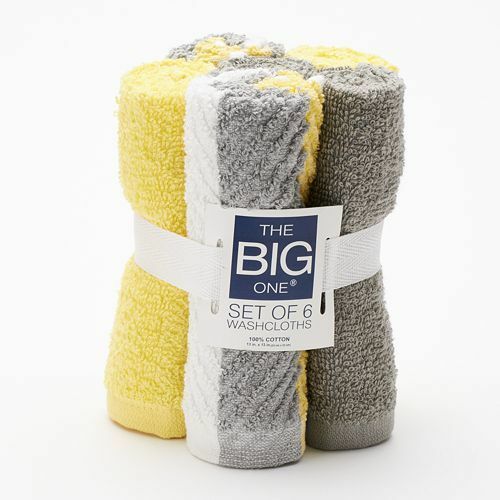 Washcloths Only $2.71 Down From $9.99 At Kohl’s! You are here: Home / Great Deals / The Big One Chevron Texture 6-pk. Washcloths Only $2.71 Down From $9.99 At Kohl’s! Kohl’s has these The Big One Chevron Texture 6-pk. Washcloths on sale for $3.16 (Reg. $9.99) but you can get it for only $2.71! In store pick up isn’t available on this. You can order it at the kiosk at the store and get free shipping.